For the majority of people in New Zealand, they won’t undertake more than 1 renovation or new home build in their lifetime. Because of this, the building process can be quite new to them, and daunting in its own right. 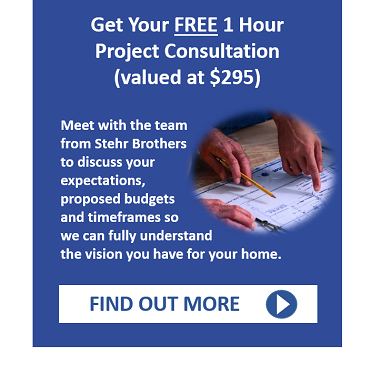 That’ why we put together these 7 steps to show you exactly how Stehr Brothers will work with you from the very first contact. Step 1 – Nice to meet you. The first step is to call or email us. Your initial contact with us provides the opportunity to tell us all about your project. During this call we’ll ask you a few detailed questions to get a better understanding of your project, and so we can informatively advise you how to move forward. If we can help you, we will schedule in a time to meet with you in person for your FREE 1 hour Planning Consultation. During this 1 hour consultation we will discuss your expectations, your proposed budgets and timeframes and draw as much information from you as possible. We aim to fully understand your vision. During this meeting we encourage you to bring any house plans, section information, ideas or relevant information. If you’ve already got house plans, we’ll provide you with a detailed proposal, so you can see exactly what’s involved in your dream home, renovation or building project. This will give you a transparent budget for all works required.. If you don’t already have house plans, we can put you in touch with a number of talented architects or draughtsman that we work alongside. They will be able to create concepts and designs for your vision. On receipt of required documentation, payment of deposit and council consent, the construction work commences. We will introduce you to our Building Foreman who will be another point of contact during the construction process. Behind the scenes, our Purchasing Team will begin ordering and fabricating all the necessary materials to ensure your time frame is observed. You’ll be kept fully informed of how the building work is progressing. You will receive a monthly progress claim invoice for payment. When all works are completed and council inspections have been finalised and building approved, you will be invited to attend a final walk through with your Building Foreman. This enables you to discuss any items which need to be addressed before you move in and ensure you are fully satisfied with the results. Final payments are completed, all of the boxes are ticked, and you’ll get a full commercial clean prior to you moving in. We will provide you with all guarantees and certifications for your project and continue our commitment to you and your project, with our 12 month maintenance period.